This TA Technix sport suspension kit is for the Hyundai S-Coupe type SLC. This TA Technix sport suspension kit is for the Hyundai Coupe type RD. 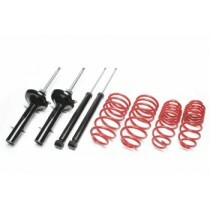 This TA Technix sport suspension kit is for the Hyundai Coupe type GK.